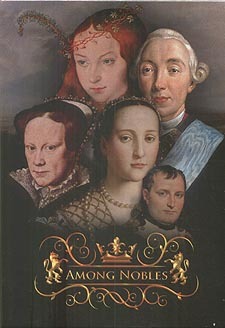 Among Nobles is a bloodline building card game where players establish and expand a family dynasty in feudal Europe. Players control some of the most iconic and influential figures in European history. using their unique abilities cunningly is crucial in the fierce competition between the leading noble houses. the game is won and lost in the intricate interaction between war, strategic marriages and influence at court.